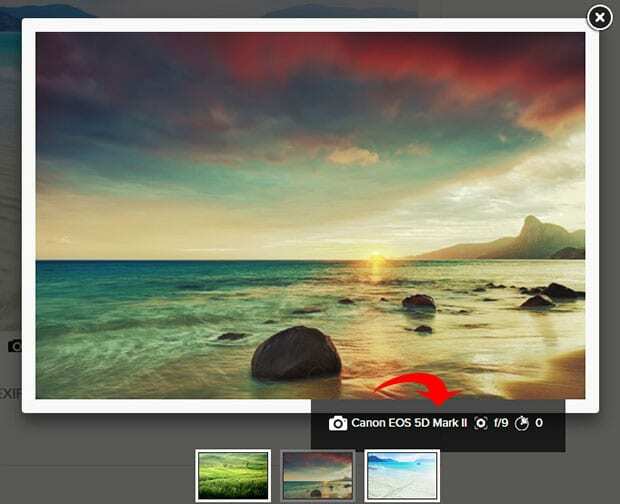 Do you want to display the exif data of your photo on your website? Sometimes you may want to show the camera settings you used (like ISO, shutter speed, aperture, etc. ), so your visitors can learn from your photographs. 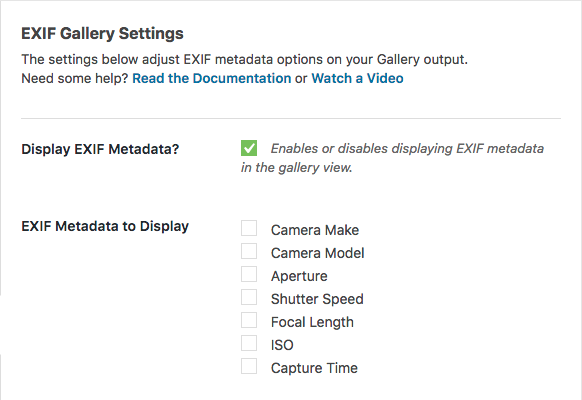 In this article, we will show you how to display exif data in your WordPress image galleries. The default WordPress image gallery doesn’t have an option to display exif data. Since many of you asked about it, we added this feature in Envira Gallery. First thing you need to do is install and activate the Envira Gallery WordPress plugin. To display the exif data, you’ll need Envira’s Exif Addon. To access this addon, you must have Envira Plus License or higher. 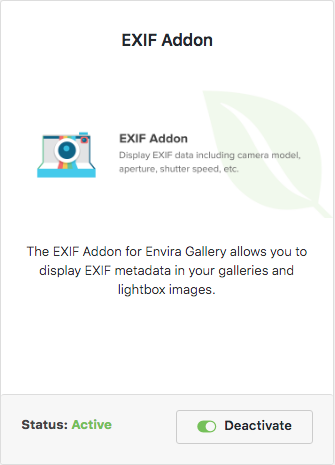 Simply go to the Addons tab from Envira Gallery » Settings to install and activate the Exif Addon. Now go ahead and edit your image gallery, and enable the exif data. To enable it, click on the Config tab and make sure the checkbox next to “Display EXIF Metadata?” is checked. Underneath that, check mark all the data that you want to display with your photos (Camera Make, Camera Model, Aperture, etc.). Click here to view a demo of displaying exif data in your WordPress image gallery. We hope this article has helped you to learn how to display exif data in WordPress image galleries. You may also want to check out our guide on how to create a slideshow in WordPress using Envira Gallery.